In 1998 Sacatar co-founders Mitch Loch and Taylor Van Horne conceived of establishing an artist residency program in Sacatar Canyon, high in the Sierra Nevada Mountains of California. Mitch and Taylor soon discovered that there were already over 100 residency programs across the United States – many of them located in equally extraordinary and inspiring locations – but that no formally structured residency programs were yet operating in South America. Mitch, an American media artist, teacher, and consultant, had extensive experience at artist residency programs and cross-cultural organizations around the world. Taylor, an American architect, had ten years’ experience living and working in Bahia and a deep connection to the culture and people of Bahia. Taylor admired the resistant, fecund culture of Bahia, which fearlessly adopts global influences and fluidly reinterprets them through its own cultural expressions. He felt that Bahia had much to teach the rest of the world in this regard. 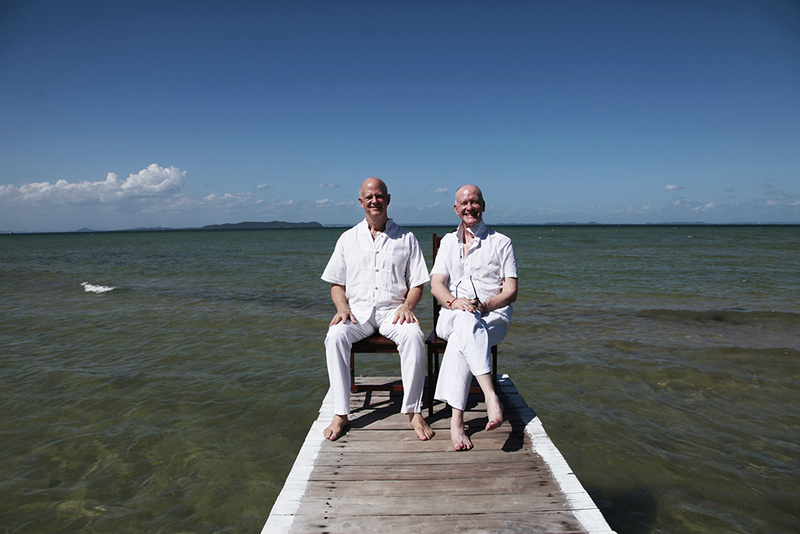 Maintaining the name ‘Sacatar’ in homage to the organization’s Sierra Nevada beginnings, Mitch and Taylor decided to collaborate on the establishment of a residency program in Bahia. They believed that Sacatar would add greatly to the global community of artist residency programs and create unique opportunities for increased intercultural understanding through creative practice for artists from around the world. Starting in 1999, they sought a location that was within easy access to Salvador, Bahia, but outside the hubbub of the city. Their first inclination was to locate a property in the Bay of All Saints across from the city of Salvador. While they looked elsewhere in the metropolitan area of Salvador, it was on the Island of Itaparica that they found the perfect estate for the arts residency program they envisioned. In 2000, Mitch and Taylor created the Sacatar Foundation, a California 501c3 nonprofit corporation, with the explicit goal of establishing and funding the activities of the residency fellowship program in Brazil. The Instituto Sacatar, a Brazilian nonprofit, followed in 2001. Sacatar hosted its first artists that same year, in September 2001. Sacatar offers residency fellowships to creative individuals from countries around the world and has changed the lives of many of these artists and the communities in which they work. The Sacatar Fund was created in 2015 as a public 501c3 under the auspices of the Tides Foundation. Tides actively promotes change toward a healthy society, one which is founded on principles of social justice, broadly shared economic opportunity, a robust democratic process, and sustainable environmental practices. Sacatar is proud to be among the over 230 groups across the United States working with Tides to support important creative and educational programs. Tax-deductible donations in support of the programs and activities of the Sacatar Foundation and Instituto Sacatar can be received directly by the Sacatar Foundation, a private 501c3 non-profit, OR through the Sacatar Fund at Tides Foundation, a public 501c3 non-profit. 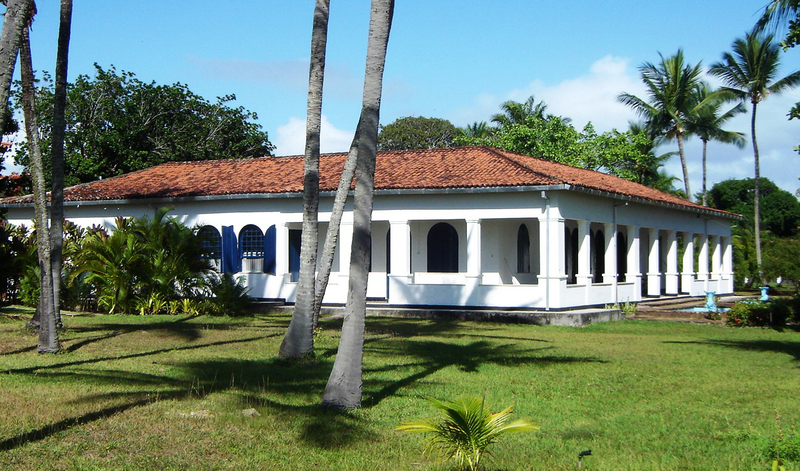 In 1950, a wealthy social reformer named Henriqueta Catharino built the main house as a vacation home and spiritual retreat for the Instituto Feminino, a Catholic girls’ school she had founded in Salvador years before. The Institute was a pioneering school, the first to prepare local girls for professional careers. The life-size statue of Santa Therezinha de Lysieux still reigns over the central courtyard. In the 1980s, an American painter bought the property from the Instituto Feminino, and for many years ran it as a small exclusive hotel. In 2000, the Instituto Sacatar purchased the property. The first Fellows arrived in September 2001. In 2002, we built a support building with a laundry room, pantry, a staff kitchen and employee bathrooms. In 2005 we added five small buildings clustered around the coconut grove facing the ocean, including an administration building, a wood-working shop, two studios with internal gardens and a raised studio with panoramic ocean views. In 2010 we added the dance and music studios. We have plans to create four additional studios and bedroom suites on the western half of the property.